If you have been charged with a crime, it can be devastating. Sometimes, even years after the case has been dealt with, the records of the arrest and conviction follow you around. To expunge record in Pennsylvania, or clear your criminal history is one way that you can help yourself regain your ability to get a high wage job or clear your family name. 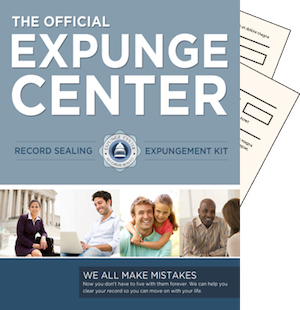 With our Pennsylvania expungement kit, it is simple to just read the guide for your particular situation and then fill out the appropriate forms and send them in. You no longer have to pay a lot of money to have a lawyer do the same thing for you. I was arrested, but the charges were dropped, dismissed, or I was found not guilty. Can I use your kit? Pennsylvania is known as one of the ‘common sense’ states with regard to clearing criminal histories. If any of the above happened to you in Pennsylvania, the judge in your trial was supposed to automatically clear your name when the trial or arrest ended. If they somehow made a mistake, you will not be able to use the kit, but it should be fairly easy for you to call the court and have them correct it. I was convicted of underage drinking and I don’t want that on my record, can I use your kit? Yes. In Pennsylvania, if you were convicted of underage drinking when you were 18 years or older and you are now 21 years and a citizen in good standing, you can expunge the history of your charges by purchasing and using our kit. You can also be cleared for being a minor in possession charges or transporting alcohol charges as a minor. I am now 70 years old and I want to clear my criminal history, can I use your kit? Yes. If it was a first offense and you did not commit one of the crimes listed below in the ‘crimes for which you cannot clear your history in Pennsylvania list’ and you have not committed a crime for 10 years, you may use the kit to clear your history. My Mother died and she had criminal charges against her that I want cleared. Can I still do so with your kit? Yes. Pennsylvania law states that if she has been dead for three years, it was her first offense, and it is not listed on the ‘crimes for which you cannot clear your history in Pennsylvania’ list below, you may use the kit to clear her name. I was put in a Accelerated Rehabilitative Disposition program because it was my first offense. Now I want to clear my name. Can I use your kit? Yes. If you have not committed the same crime for the past five years and it was your first offense and your crime is not listed on the ‘crimes for which you cannot clear your history in Pennsylvania’ list below, you can use our kit. What are the crimes in Pennsylvania that cannot be expunged from my history?